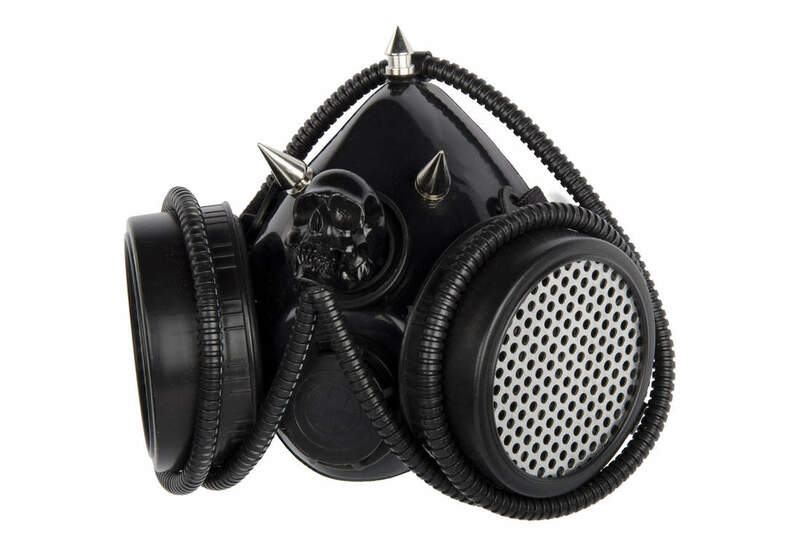 Black demon cyber industrial respirator with spikes and tubing. 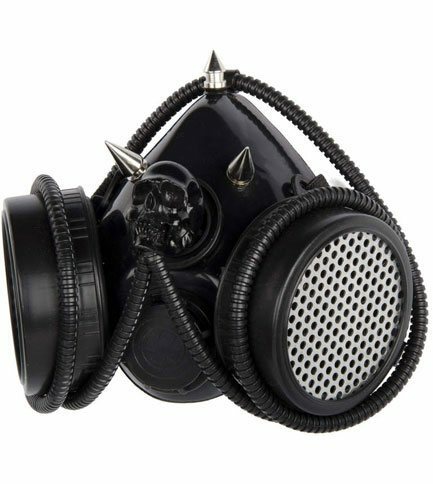 Made of resin skull head and black corrugated tubes. Comes with two perforated removable aluminum discs.